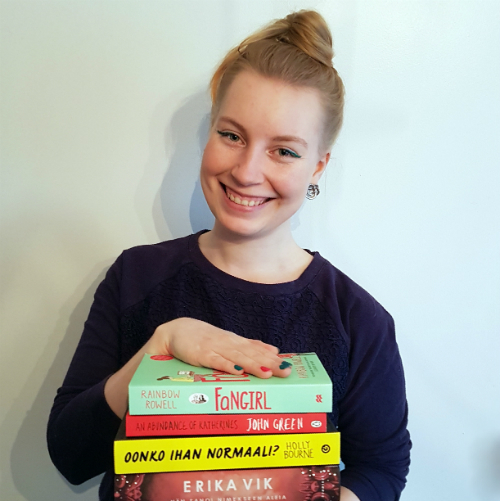 The Helsinki Book Fair was about a week ago and I was attending because of my publishing internship at Gummerus Publishers. I’ve been lucky enough to get a ticket almost every year due to some kind of related work but this was the first time I was there for all four days, from morning til evening. The book fair is always really hectic but amazing. I love seeing all the new books and especially the offers! However, it can get a little claustrophobic after a while. I was in charge of social media during the fair so I spent my time shuttling between the various stages listening to Gummerus authors give fantastic (no, I’m not biased :P ) presentations and interviews. 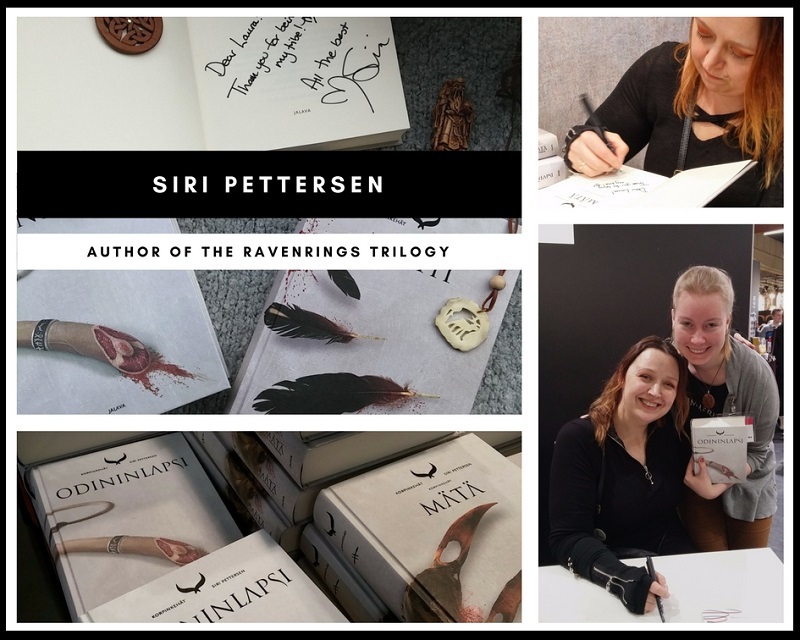 I did manage to get some non-work related things done as well: I had the pleasure of meeting the lovely Siri Pettersen, author of the Ravenrings trilogy, and listen to a panel where she talked about fantasy as well as her books. She even signed my trilogy! Siri talked about how the same people who are bottle fed on fantasy will be the same ones who will be inspired to save the world and how fantasy creates heroes. She also mentioned thinking that all good stories are political. And goodness, she was hilarious! Also, I will totally from now on use her term for the lack of fantasy elements in a story: SDD = Severe Dragon Deficiency. 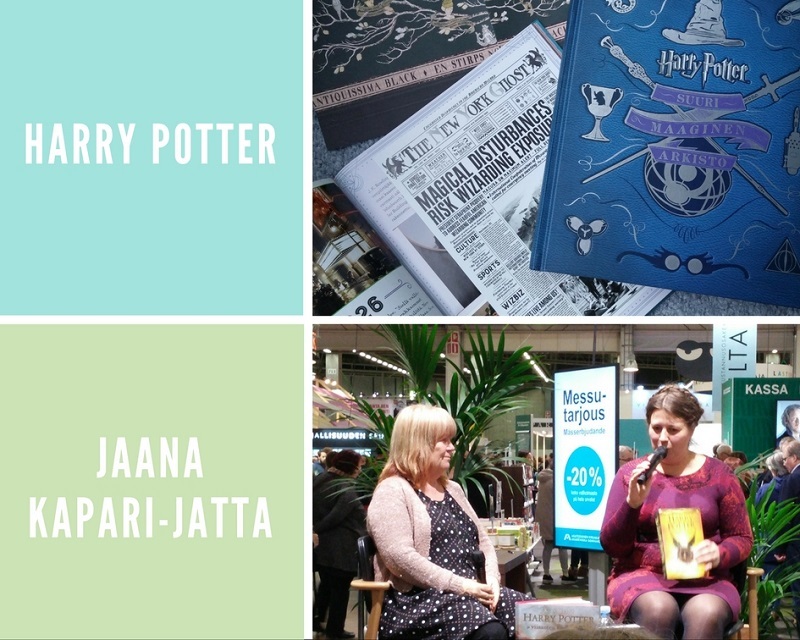 Jaana Kapari-Jatta, the Finnish translator of Harry Potter, also spoke at several interviews at the fair. She is such an inspiration, I really love how she has managed to translate not only the words but also the feeling and atmosphere of J.K. Rowling’s writing. Obviously, I also bought a ton of books, some of which are here. 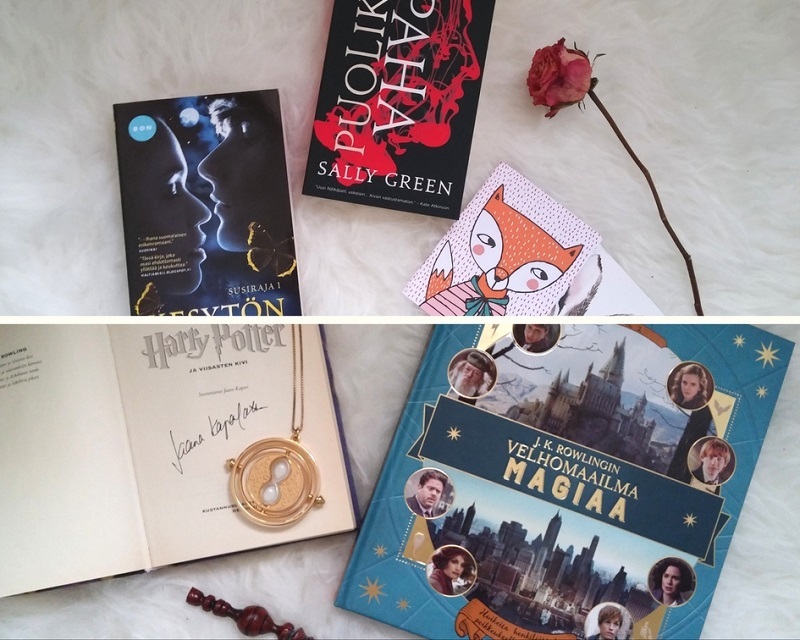 So, I got some Harry Potter related books, because I love to relive all the little moments from the movies and books. I also bought Half Bad by Sally Green, which is actually published in Finland by Gummerus. I hadn’t read her books before despite having heard good things about them so I figured this is the perfect time to start. With Half Bad, I got another paperback (you got the second one cheaper): Kesytön. It’s a werewolf story and while I don’t have high hopes for it, it seemed like a good on-the-way-to-work reading. Part 2 of the Helsinki Book Fair is coming soon!